Working in a busy kitchen can be stressful enough without the thought of keeping your extraction system clean, maintained and fire safe which can easily slip your mind. This is why we at Fan Rescue offer a full maintenance and repair service on call when you need it. As always, it is best to catch problems early. Signs that your kitchen is becoming smokier or your fan is making more noise than usual are good indications that a system failure may be imminent and we at fan rescue are available at short notice to complete a system health check. We also offer care packages to take the worry and the stress out of keeping your system maintained to a regulated standard. 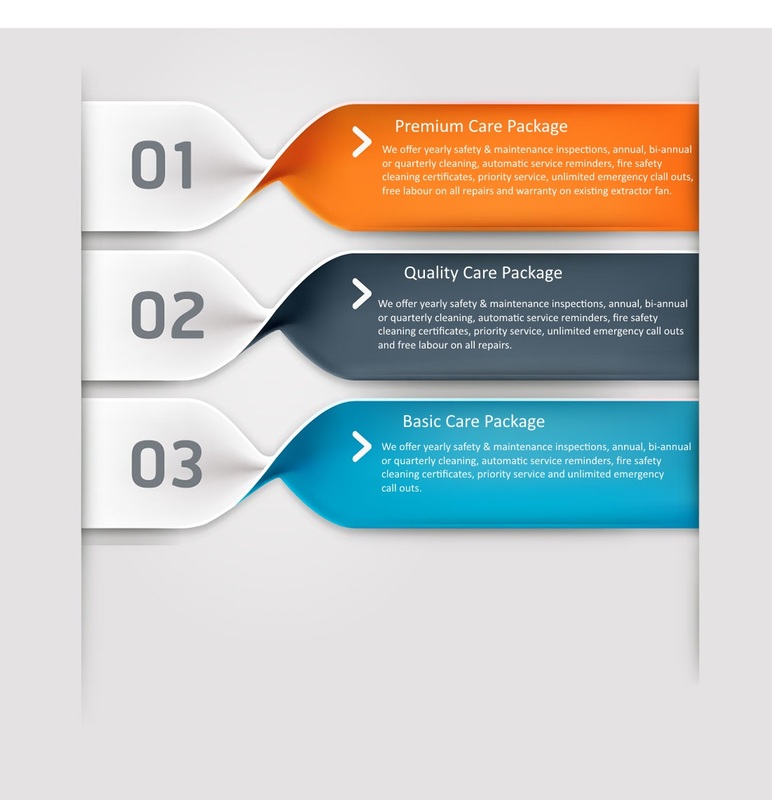 There are three levels of comprehensive cover we offer that are all cost effective solutions dependant on your individual needs.